However, today’s article and the attached video tutorial will tell you why you may want to convert PDF documents into a Microsoft Word file. The PDF to Word conversion is a good way to extract text from a static and non-editable document for further usage. Text passages can be copied from PDF documents that were based upon text documents (contrary to scanned images), however, formatting is oftentimes lost, and longer PDFs can become a nuisance to copy page by page or even paragraph by paragraph. Converting the whole file into an editable Word document is the more elegant, faster, and less unnerving solution. All you have to do is to choose the Word document converter you need. While computers with older versions of Windows and the according Windows Office suite, may still require to convert to the DOC format, newer versions often choose DOCX instead. The DOCX format succeeded the older Word format. Unlike DOC, DOCX files can be opened more easily in other programs than Microsoft Words, which makes spreading and sending them easier and more approachable. It also manifests the Microsoft Office Open XML standard. More information about the difference between DOC and DOCX can be found in this article. 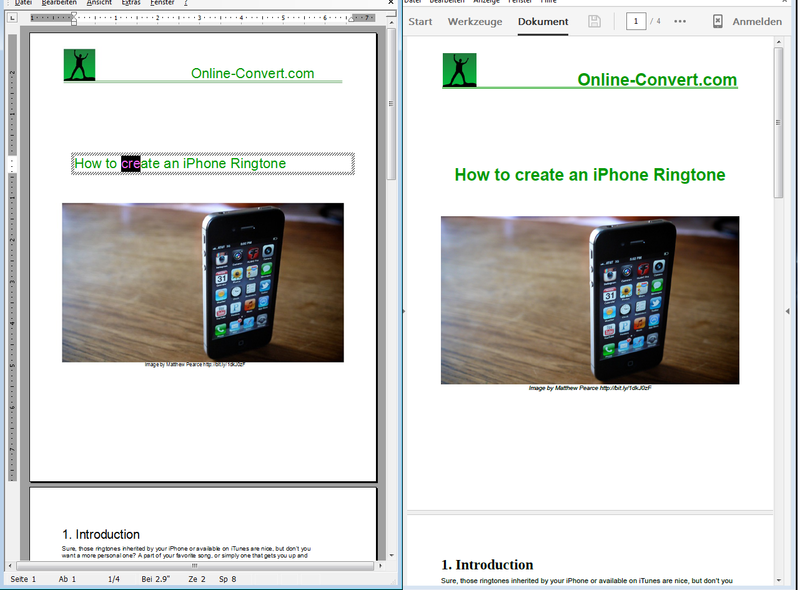 This kind of conversion works well with unprotected PDF files. Oftentimes, PDF files are former Word or OpenOffice documents that were saved in the PDF format for better handling and formatting reasons. Such files can easily be converted “back” into the Word formats DOC or DOCX. If the PDF in question contains images, they are imported into the Word document as normal document images. It may be that the formatting needs a bit of adjustment after the conversion though, but the major formatting will remain the same as in the PDF. Unfortunately, DRM protected PDF files can not be converted. The DRM protection method prevents the conversion process from taking place. If you are the owner of the protected PDF file, make sure to remove the protection before converting your PDF into Word. However, depending on the complexity of your PDF, it can always happen that formatting errors or other minor problems occur during the conversion. Of course the conversion to Word is not limited to PDF files as the source file format only. PDF conversion to Word makes documents editable again, but it can also come in handy when someone sent you a file Microsoft can’t open without producing errors (either in formatting or displaying a list of nonsense symbols). The open standard format ODT as well as Word Perfect’s WPD files can be converted into DOC or DOCX with a few clicks. When it comes to PDF to Word conversion, however, it’s advised to use the DOC file format instead of the newer, XML supporting DOCX. This short video tutorial shows you how to convert from PDF to Doc. Underneath, you will also find a quick how-to in written form. The best about it all? 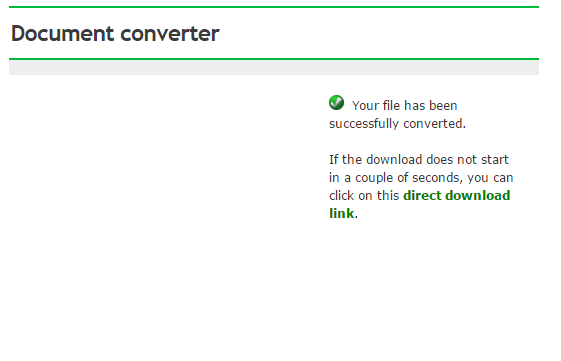 The PDF to Word converter is part of the free features of online-convert.com! 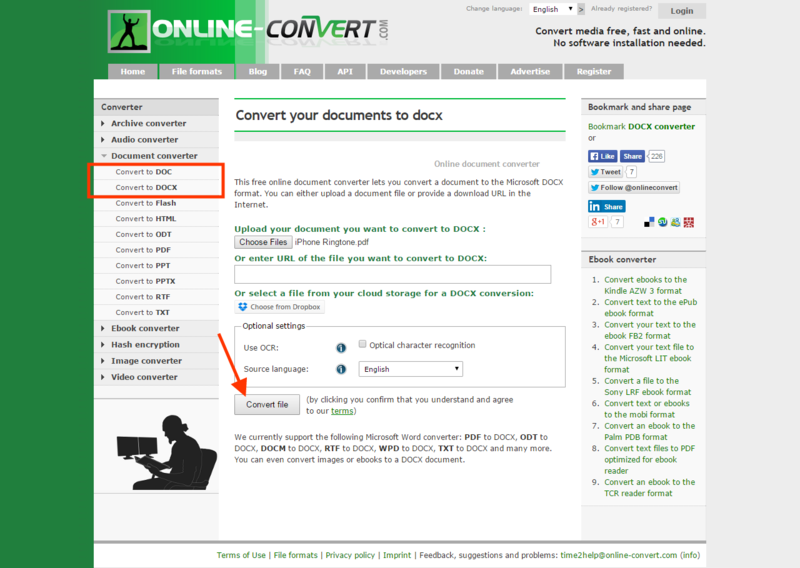 Go to Online-Convert.com and choose the DOC or DOCX converter from the list of document converters. These are the common Microsoft Office text document formats. Of course you can also convert it to the open standard format ODT, if you are using LibreOffice or OpenOffice instead. Click on “Choose File” if you have the PDf stored on your hard drive. As an alternative, you can enter the URL of a PDF that is saved on the internet, or upload a PDF document from your Dropbox. Click on “Convert File”. The conversion process starts now. Depending on how big your file is, this may take a few seconds. The successfully converted Word document will be stored on your hard drive in the usual folder for downloaded items. However, you can also choose to upload the file to your Dropbox or Google Drive. If you open the DOCX file now alongside with the PDF, you will see that there is almost no difference between the two documents. However, since DOC is a “discontinued” file format, it may happen that formatting errors occur in the text, or that the alignment of pictures can change. However, that’s the good thing about converting to DOC: you can easily make these minor adjustments in Word! Anyways, the most important thing is the correct transfer of the text content of the file.